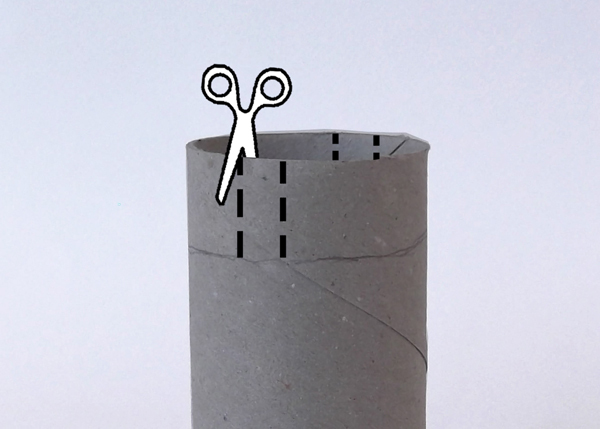 Let kids experiment with toilet paper rolls and pieces of cardboard and discover the basic elements of architecture: The column and slab. At least 8 toilet paper rolls. Find as many rolls as you can. 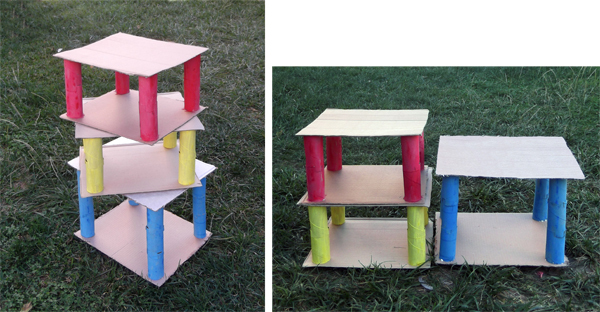 1) Lets start by making the columns of the building. 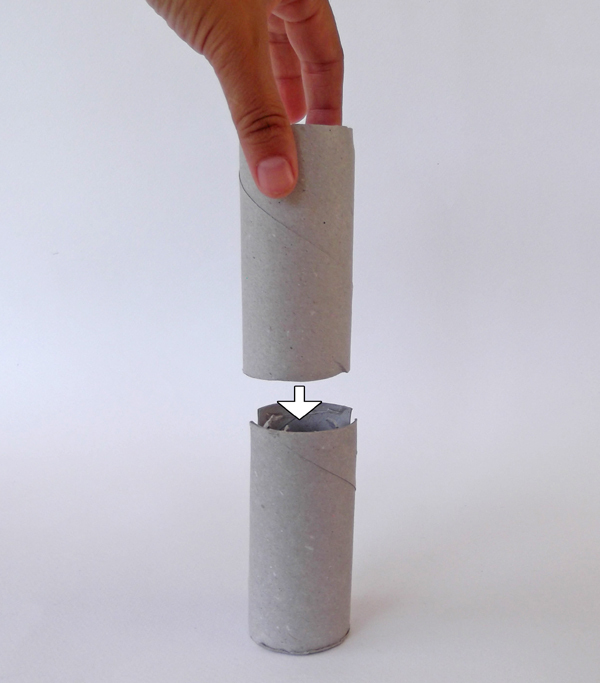 Pick two toilet paper rolls of equal size. 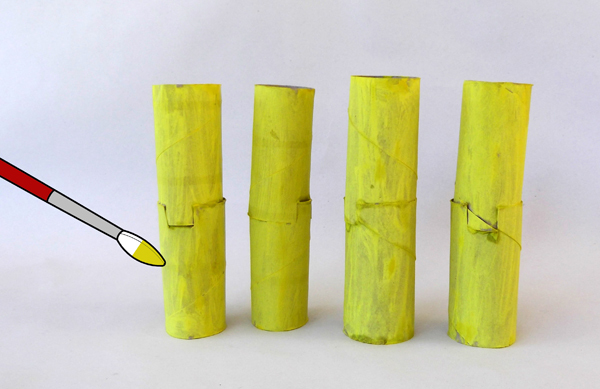 2) Pick the first tube and make four slits, as shown in the picture below. 3) Fold the two flaps towards inside. 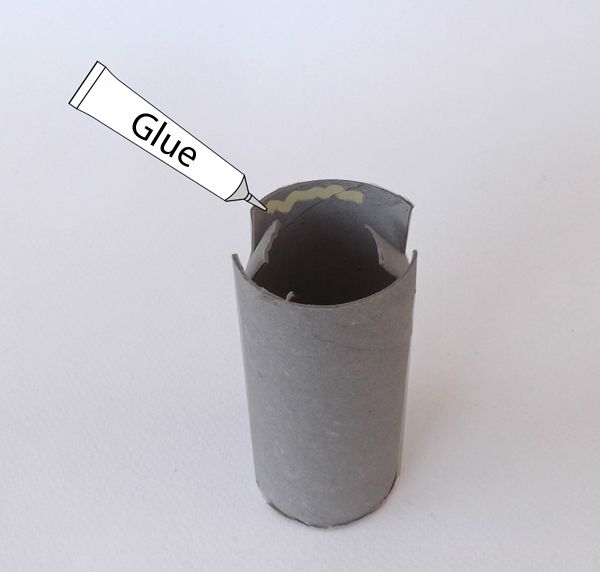 4) Apply glue at the inner sides of the roll's top edge. 5) Slide the second roll, inside the first roll. 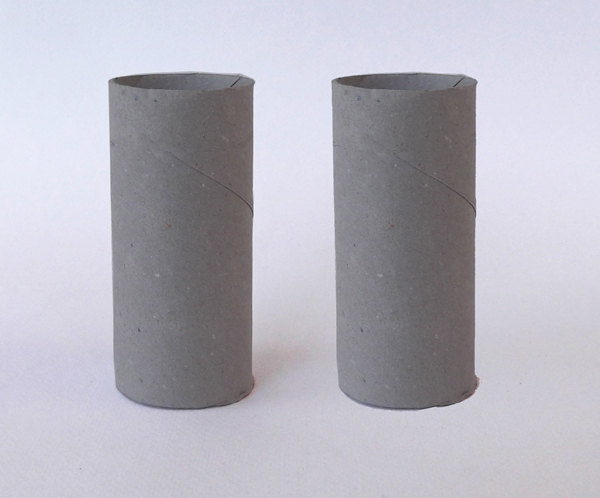 6) The one roll should embrace the other. 7) Make in total four columns. 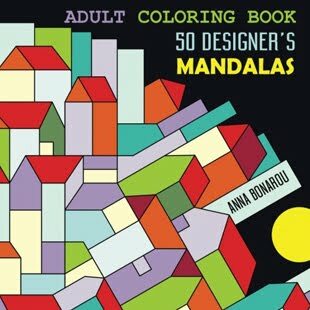 You can also paint them with watercolors. 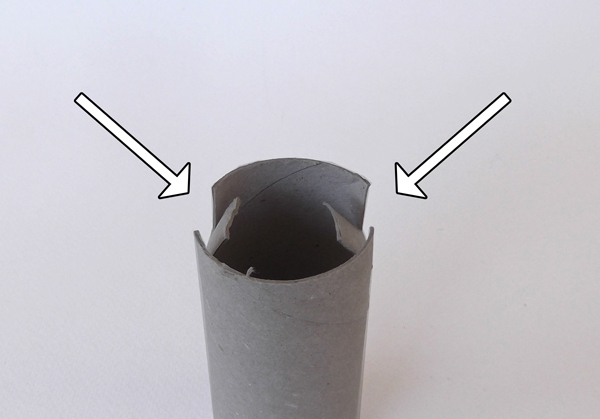 Note: By following the same instructions, you can make higher columns with three paper rolls. 8) Now let's make the slabs of the building. 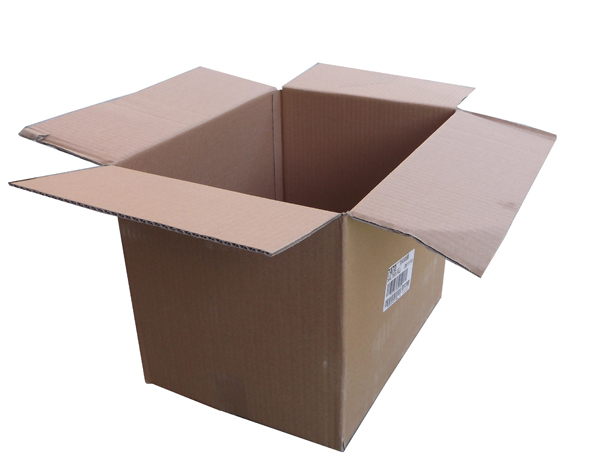 Find a recycled cardboard box. 9) Unfold carefully the cardboard box. 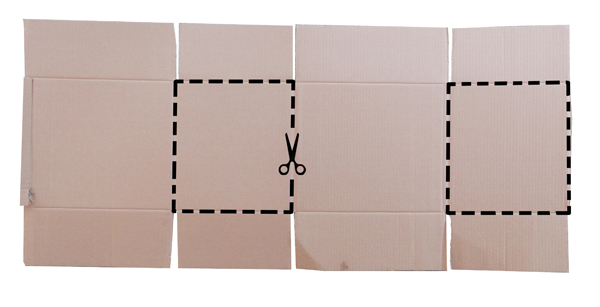 With scissors cut two rectangles as shown in the photo below. 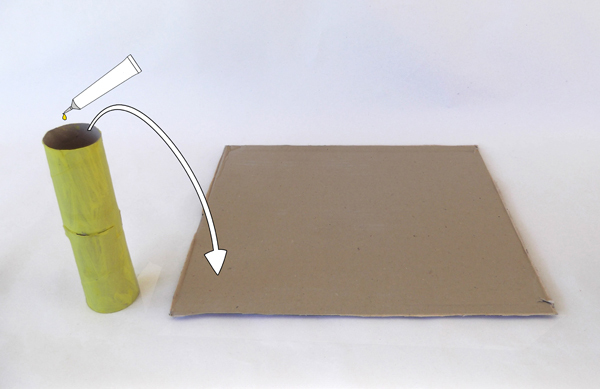 10) Apply glue at the top edge of the column. 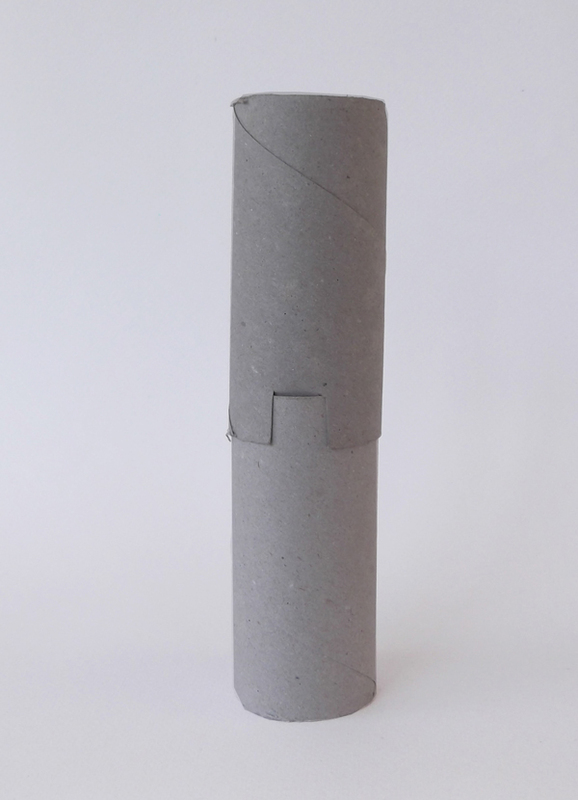 Glue the column at the one corner of the cardboard piece. 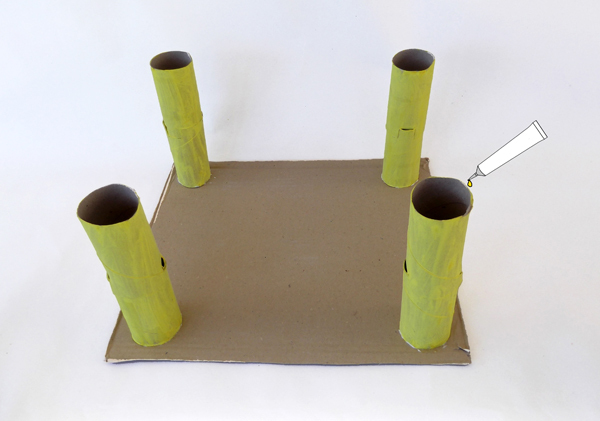 11) Glue all four columns at the corners of the cardboard piece. 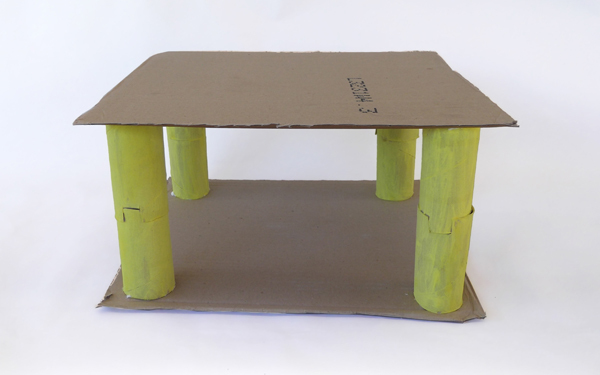 12) Glue the second cardboard piece over the columns. This is the ceiling. 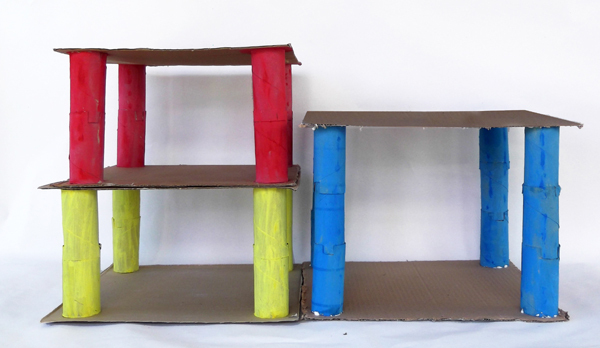 13) Make more modules and arrange them to make more complex, multy-storey buildings.